Back in the old days of Windows 95 I used to have my own sound (“Greetings”) when I started windows. The capability to customize the startup sound is not there in windows 7. After I unzipped ResHack, I ran it as an Administrator. I then opened the imageres.dll file, made a copy of the original in to safe place, and then opened the file again in the system32 folder. I expanded WAVE and 5080 as shown, and there is a resource called 1033. If you click on Play WAVE you will hear the windows startup sound. Click on “Open File With New Resource” and navigate to a .wav file of your choice. Click on “Open”, then put “WAVE” in as the resource type, “5080” (or whatever number that folder is labeled) is as Resource Name., and “1033” or whatever number is indicated as Resource Language. Click “Replace”. Then save in the original location and quit ResHack. Right click on your desktop, select Personalize from the menu, click on Sounds, and check the Play Windows Startup sound and click “Apply”. When you restart, it should work, if not, ask someone who knows what they are doing for help. Comments: Some people commented that they could not get this to work. You need to run ResHack as an administrator, or else you won’t get it to work. Also, I received some comments obviously written by a child. If you are a child playing with your parents computer, don’t do this! If you have trouble saving the changes, it is because you didn’t take ownership of the .dll. The child that posted a comment that this couldn’t be done obviously omitted this step. More detailed instructions are below. 6. Click on Edit Button and select user from given Change Owner to list if user or group is not in given list then click on other users or groups. 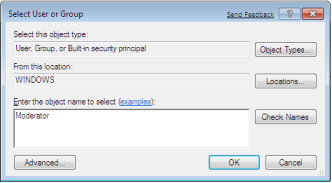 Enter name of user/group and click ok.
10. Now Owner name must have changed. 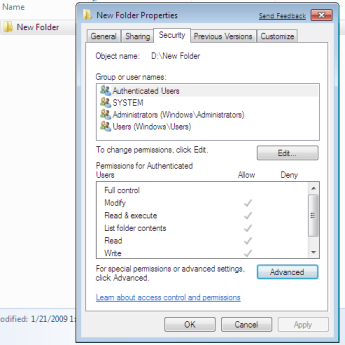 Once you have taken the ownership of file or folder next part comes is Granting Permissions to that file/folder or object. 3. 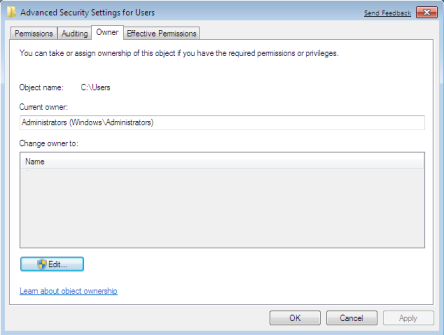 Click on Edit button in Properties windows Click ok to confirm UAC elevation request. 4. 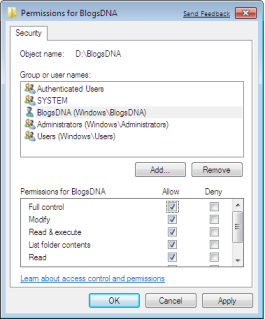 Select user/group from permission windows or click add to add other user or group. 5. Now under Permission section check the rights which you want to grant i.e check“Full Control” under the “Allow” column to assign full access rights control permissions to Administrators group. 6. Click Ok for changes to take effect and click ok final ok to exit from Properties window.